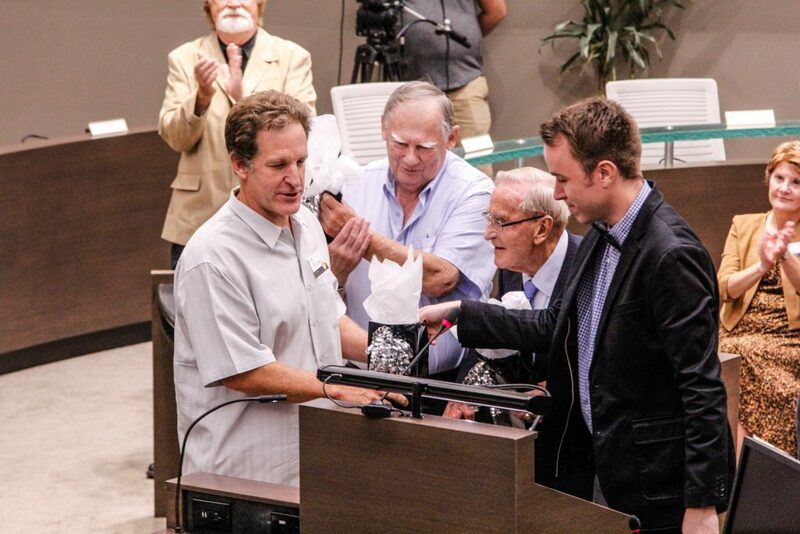 Dr. Travis Doucette presents Principal Greg Brucker with the inaugural Barrie Historical Archive Civic Award at Mayors’ Seat at City Hall. Home/Dr. Travis Doucette presents Principal Greg Brucker with the inaugural Barrie Historical Archive Civic Award at Mayors’ Seat at City Hall. Tags: Barrie Historical Archive Civic Award, City Hall, Council Chamber, Greg Brucker, Jack Garner, Mayor Willard Kinzie, Mayors' Seat, Travis Doucette, Willard Kinzie.